In a city with skyrocketing costs of living, cash-strapped students don’t often hear the word ‘free’. A local church, however, is out to change that. 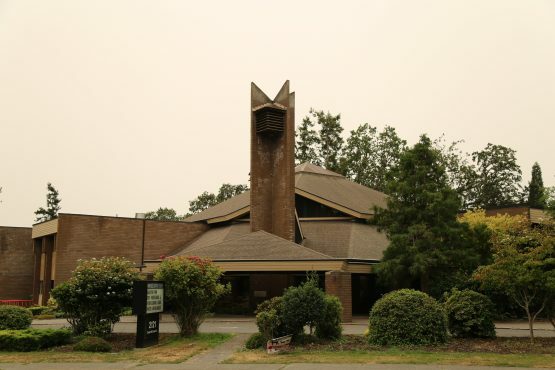 The Emmanuel Baptist Church, located on Cedar Hill X-road, just a 14 minute walk away from the UVic Bookstore, has been offering free dinners on Tuesday nights from 6 to 7 p.m. for students since 2004. The dinners are crucial for students who need a home-cooked meal, miss home, or want to meet new people also seeking a free meal. Emmanuel Baptist Church started offering the meals after church member Betty Ristow, who had a student living with her, asked what the church could do that would be meaningful in lives of university students. She decided to host a home-cooked meal where the student could bring her friends and have a safe place to relax and eat — igniting the Tuesday student dinner tradition. Riley van der Linden is a fourth year history student who has been attending the dinners for a few years. She believes the popularity of the dinners goes to show the difficulty students have in finding affordable food in Victoria. But she also acknowledges the social aspect is a large part of why people make their way to the church every Tuesday. 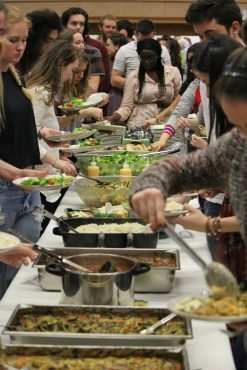 Initially, around 80-100 people attended the dinner each week, but as more students spread the news about a free dinner, the attendance started to increase. The Tuesday night event brought in an average of about 400 people for each of the 19 dinners in the 2016-17 school year, and Morris encourages people to show up early to guarantee a spot. Preparation for the dinner takes all week. Organizers shop, plan, prep the church, and donations from the community help to fuel the meals. The church gets their food through donations from church members, Thrifty’s Foods, Portofino Bakery, Cobb’s Breads, and the Root Cellar Green Grocer. The first dinner of the fall term is September 19, and they will run weekly until November 28. The dinners start up again in the winter term on January 16, ending March 27, with the final two dinners including open mic performances to celebrate the end of the term. Despite being hosted in a church, there isn’t a lot of preaching or church talk used to try and change a student’s religious background or to influence them to attend church regularly. 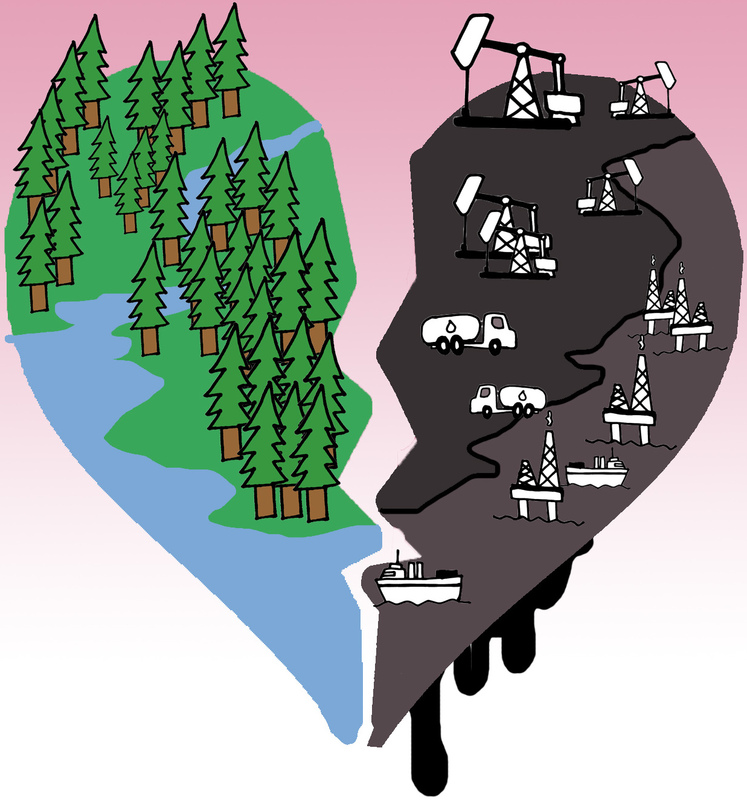 “We do say a short non-denominational grace, but we find that nobody minds that,” Morris says. Morris says that the organizers don’t even consider religion at all when it comes to hosting the meal. “We don’t call it ‘church dinner’ — we call it ‘student dinner.’ Students call it church dinner,” she laughs. But whatever you do call it, a free meal and the chance to meet new people is clearly a huge hit for starving students.